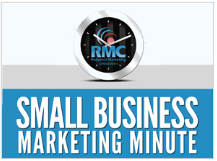 My guest for episode 215 of the Small Business Marketing Minute podcast was Kathy Knowles, who is a human resources consultant and owner of Intuitive Strategies, a human resources firm. 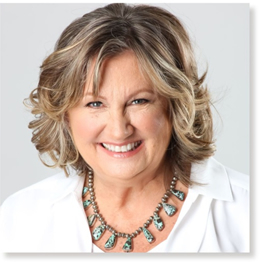 She is a speaker, trainer, and consultant who speaks on the seven-step system for creating more purpose, profit, and possibilities rather than running a business that’s stealing your soul. She works with entrepreneurs and small business owners to help them hire right the first time, so they can have a more loyal and dedicated team. Ultimately, her clients make the leap out of the day-to-day and onto a much bigger playing field so they can do the work that’s in their heart and leave their legacy. In my interview with Kathy, we talked a little bit about her seven-step system, but we also talked about how to interview potential team members, and she brought up lots of really great questions that you should be asking in job interviews to help you hire better people.. This will, in turn, help you improve your customer service, which of course helps your marketing. We touched on why human resources and hiring is so important to the results you get from marketing, but she also really got specific about what questions you need to be asking in that process. I highly encourage you to listen to the interview and start using those questions in your interviews so you can get better team members on-board and improve your results. Kevin Jordan: I’d like to begin by just talking about why we have a human resources professional on a marketing podcast. It’s not like typical kind of guests. We’re not talking about social media or Facebook or latest changes with Google. We’re talking about human resources. Why are we doing that? Kathy Knowles: It sounds like such a bland and terrible conversation, too. Well, actually Kevin, the truth is, what it comes right down to is people work with people, and it doesn’t matter what kind of an organization you’re in, if you don’t have your team in place, nothing else really matters around that. Your customers and your clients, they come to us because they love us, and they love our team. So I truly believe that it is the core and foundation of every single business. Kevin Jordan: Yeah, absolutely. I think there’s a few big businesses who could second that notion very loudly right now. United Airlines comes to mind, for example. Kathy Knowles: Yeah. Sometimes so often, I think as business owners, and solo entrepreneurs, and that type of thing, when we step into owning our own business, we think it’s going to be a certain way. In our minds, with our perspectives, that’s what our vision is. In reality, so often when I talk to my clients, what I find is they’re saying to me, they’re saying, “Kathy, I love my business. I love the people that I work with. I love my customers, but I didn’t think I’d be such an employee. I’m so stuck in the day-to-day grind that I’m finding that I can’t build my business. I’m finding that I’m working 75 hours a week. I can’t take a vacation,” and so that’s exactly what I mean by that. Again, when we set out to start our businesses, I think we had something in mind, and we need to go back to that and say, “Wait. What is it,” because we can have that. Kevin Jordan: I think many people listening would very much identify with that sentiment right now, and I know at various times during the growth of my own business I certainly have. Now let’s get into the process of fixing that and your seven-step system. Why don’t you just break down the seven steps for us, and then we can maybe dive in a little deeper into a couple of them. Kathy Knowles: Absolutely. Well, a lot of this has to do … When we feel like we don’t have things right, or when we really feel like we’re failing, we constantly go back to that foundation, that home base of saying, “I feel like I have to start over again. I feel like this just isn’t working for me,” so what it comes down to is, step number one is all about really strategizing your journey, that’s what I call it anyway, and that’s being really clear. That’s being clear on the vision of your organization, the mission of the organization, and of course, vision, that’s just goals. Kevin Jordan: Okay. I’m sorry, so strengths was number then. Kathy Knowles: Yes, strengths was number two. Kevin Jordan: Okay, got you. Kathy Knowles: Sorry about that. Then number three is finding your devoted employees. Number four is listening to your authentic, your true, true self, going with your heart, your gut. Number five is getting real clear on the type of leader you are. Letting go of control is a big one for number five. Number six is uncover your loyal clients, because the truth is, your team, your employees are your biggest advocates. They’re the ones that customers are out talking about because a lot of times we can’t be there for that. Then number seven is really leading that life that you intentionally design. That’s when your business is no longer stealing your soul. Kevin Jordan: Excellent, excellent. I have to just comment on the first step there because as you were describing that, the thought that came in mind is, “Wow. That’s the Duct Tape Marketing system right there. The same step that you described in your process is almost, to a word, the same step that we use when trying to figure out how to do marketing for our clients, that’s strategy. That’s strategy before tactics. When you were discussing the process of finding out what your strengths are and why your customers love you, exactly the same thing again. In fact, we even interview the customers of our clients in order to find out what they have to say about the company, which is a really interesting process sometimes. Kathy Knowles: I bet it is. I love that because it’s really honing in on their big- … Again, it’s honing in on that client for you their biggest fans, and how are they different in the world, how are they unique? It’s so important. Kevin Jordan: Absolutely. What are some of the ways you walk a business through these seven steps, and maybe you can give some examples or some case studies just to help hold us straight the way these steps come together? Kathy Knowles: Absolutely. One of my clients here, they are a recruiting firm now. You wouldn’t think a recruiting firm would need any help with hiring, but that hasn’t been the case, and that’s okay. What I really did was I sat down and I spent some time with Ron, and the challenge for him was, just like we were saying, “How does a business steal your soul,” well, he wasn’t getting out of the office. He was one of those owners that he had 17 members working with him, he was constantly in the office, and if he wasn’t in the office, he was at home working. So his kids now are of an age where he wants to go out and enjoy them, and be with them, and take them on trips, and he hasn’t been able to do that. With that, we found someone in his office who is now, she actually runs the office now, and she is still also a recruiter, though, and she’s a very good one, so she has dual hats. Then, that’s exactly what we did. We started to say, “What do your customers, what do your clients value you for? What do they absolutely love you for?” We started to gain really clear language, not so much for marketing but language for the team, language for the business itself to be able to say, “Hey, this is what we are really good at,” and that is a reflection of everything they do now. It’s a reflection of their mission. It’s a reflection of their culture. It’s a reflection of what they physically say to the customers. Then from there, again, even though they’re a recruiting firm, as we had talked about the team members in the first step, we went back to take that now deeper. Who are your indispensable players? Who are some of the best? We already know Stacy is because you’ve now promoted her, and she’s in that role, but what about now the other six people we have? In looking at that, two people weren’t really that strong, so we put them both on a performance improvement plan. We really spent time with them to ensure we were training them. One person did not work out, so we let them go. One person did work out, but in a little bit of a different capacity, and now he is still there. It’s been a couple years now. Absolutely amazing. Kevin Jordan: What are some of the things that you tell local business owners when you’re giving them advice about finding the right people? If they do that process and they look at their current staff and they aren’t really happy with the people they’ve managed to hire, what advice do you give them in that situation? Kathy Knowles: Right. Sometimes it’s leadership. Sometimes it’s actually the owner, the founder, the CEO, the president not being really clear or still holding onto too much control themselves. I get it. It’s very hard to let go of that, especially if you don’t have trust in your team. We start to really look at the trust in the team factor, but then from there what we look at, too, is now getting really clear on what this role is. What is this job? Not only what the task of the job is, I really don’t care about that, but what I do care about are what are the key result areas that this person needs to complete to know that they are really an indispensable team player? What do they need to get done? Then, we continue to peel back the onion to do some serious and very strong behavioral-based interview questions. Kevin Jordan: Give me an example of what a behavioral-based interview question would be. Kathy Knowles: Right. Well, it’s sort of like peeling back the onion. You would start out saying, “Tell me about a time when you had a deadline that you needed to do and you were getting a lot of interruptions.” So the person would start to talk about that, and then you would say, “Well, how did you feel about that? Well, what did you do … What was the actual end result? What would you do differently next time?” So it’s asking one question of where they’re physically working right now, and that one was just one for deadlines and getting things done like that, but you ask that question and then you continue as they’re saying things, as they’re telling their story, you continue to peel back the onion. One of the things I always say is that interviewing, it’s not a conversation and it’s certainly not an interrogation, but it is storytelling. What you really want to get them to do is tell stories, tell you about specific situations, case studies you say, of where they’re working right now so that you can understand how they would work in the environment of your business. Kevin Jordan: I like that analogy using case studies because we do that all the time in marketing, but I think people might not do that as much when it comes to human resources and their own interview process. Kathy Knowles: Mm-hmm (affirmative), Mm-hmm (affirmative). Yeah, it’s really powerful. I think way too often people think of the interview as a conversation, and I understand because it’s not necessarily a comfortable thing. It’s not always comfortable for the person who’s doing interviewing unless that’s what you do for a living, and it’s certainly not comfortable for the candidate, but these questions are really important, really important. Kevin Jordan: For someone, again thinking of local service-based businesses that is expanding and growing, increasing the size of their team, let’s say up to this point it’s been the owner and maybe some people that they knew or that were referred to them by friends and family, and so they’ve never really had to go out to, say, monster.com or LinkedIn, bringing in complete strangers and take them through some sort of process to vet them. How do you work with businesses like that to even come up with this human resources system within their business in order to do that? Kathy Knowles: Well, Kevin, just like you have a lot of systems and steps, as we were talking about before the podcast even started, I do too. I have something called the find and fill formula, which is actually another seven-step process in regard to really taking those significant steps to, number one, get really clear on what the goals are for the organization moving into the next year, and number two, to get really clear on what the role and desired accomplishments and results are of this position. I’m a big believer, especially with the way we have so many different generations today, in going to find the candidate where they are. Don’t misunderstand. I love Zip Recruiter, I love Indeed. I believe that they all have a purpose, but I think that when you can go to the candidate, you’ll find much fewer applications but they’re much more qualified. You won’t get 100 resumes. We don’t want 100 unqualified resumes. We would love to get 5 or 10 substantial resumes that are qualified already for what it is that we’re looking for. Kevin Jordan: Just like a business would want to get 5 or 10 very qualified leads for customers rather than 100 unqualified leads. Exactly the same principle. Kathy Knowles: Exactly the same thing. Yeah, actually much of what we’re talking about today is really so similar. Kevin Jordan: Oh, it’s not similar. I would say it’s just the same process only applied to employees rather than clients. You still need your employees to know, like, and trust you before they’re going to agree to work for you, just like you would your customers before they buy something from you. You need content to support your hiring and interview process, so yeah, a lot of very similar situations going on between the process of finding the right customers and finding the right employees. So they’re going to start, again, storytelling. They’re going to start telling you about the story. Then you could say, “Oh, tell me a little bit more about the conversation when you mentioned this,” as they’re telling you the story. Then you say, “What was the outcome?” Then you ask, “What would you do differently next time?” There’s a lot of power into asking even the question, “What would you do differently next time,” because it really gives you an indication of how that candidate or applicant would overcome weaknesses. Do they think outside of the box? Do they say, “Oh, man. Okay, so that didn’t work out, so next time I have to do this”? Are they proactive in that way? What is their response to conflict? How customer-focused are they? Are they really creative when it comes to problem-solving? Will they be there to satisfy your customer or your clients, not only their needs but their wants? Will they take it a step further for their wants? So just one question like that, if you’re a service-based company, is so powerful. Kevin Jordan: I can tell you from experience, like sitting on the other side of the interview table back when I used to, before I had my own business, I hated those kinds of questions because of all the reasons that you just mentioned. They’re hard to answer. You can’t BS your way through them. Kathy Knowles: Right, and that’s what’s so beautiful about it. Just like you asked me about case studies, just like you go out to your clients that you’re going to be working with and you talk to their customers, because you want case studies, well, that’s basically, when you ask them to tell you a story, again, it’s a case study. Ron and the recruiting firm, we all have those that we can talk about, so yeah. Yeah, but that’s how you know if they’ve really done that role. Kevin Jordan: Yep. Like you said, you’re going to know because you can be able to tell if they’re just giving you the answers that they think you want to hear. That just won’t work. Kathy Knowles: No, it won’t. Kevin Jordan: To wrap things up, because we’re almost out of time here, why don’t you just give us a couple good takeaways for local business owners in terms of getting more out of their team members, maybe a couple of leadership tips or ways to inspire their employees, something along those lines? Kathy Knowles: I would say number one, clarity equals focus, not only for you but for your entire team. The more clear you could be, and the more clear you can be on where your business is going, the more focused everyone on the entire team will work, will be, and the more their work will be the right and correct work to do, number one. Number two, it’s really important to hire people because you think that they’re going to be a good fit because they really do have a great attitude. I found so often that I have term- … I have terminated more people that haven’t fit in, that haven’t fit in with the culture, with the environment, but were really good, maybe even stellar, and it was a little scary to let them go, at their jobs. So really look at the total picture of someone. Look at the attitude, look at the soft skills, ask the behavioral-based questions, look at their skillset, look at their knowledge, and don’t just hire your aunt or the neighbor down the street because again, your employees are your customer advocates. They are the ones that bring your customers in. People do business with people. Kevin Jordan: Excellent. Great quote there to end it on, “People do business with people.” That is so true, and especially true at the local level. Kevin Jordan: So to send us on our way here, why don’t you let us know where people can hire you, of course, number one, where they can find out more about your company, maybe get some more resources to help them with these types of situations or problems in their business, and all that kind of thing? Kathy Knowles: Absolutely. You can find me at IntuitiveStrategies.com and I have a lot of information just on my webpage as well as a lot of different blogs, and things like that, that I’ve written. You’ll find the blogs there, but I also have a freebie that if you’re interested, and you just drop me a little note, you can do that on my webpage, or you can send me an email at Kathy@IntuitiveStrategies.com. I can send over to you, it’s 18 interview questions, and it’s what to ask to get your ideal hire. The beautiful thing about this, Kevin, is they are these behavioral-based interview questions, but you can literally use all of these questions for any position on your team. Kevin Jordan: Excellent. Sounds like a great resource, and we’ll put that link in our show notes, of course, along with your email address if that’s okay. Kathy Knowles: That would be wonderful. Kevin Jordan: Okay, so people know how to get in touch with you to get that list of questions. Kevin Jordan: All right. Well, thank you very much, Kathy, for coming on the podcast. We’ll hope that the listeners take your advice to heart so that they can build stronger teams and create more purpose, profits, and possibilities in their business. Kathy Knowles: Oh, thank you so much, Kevin, and thank you everyone for listening.